After the 1985 Geneva Summit, where President Ronald Reagan and leader of the Soviet Union, Mikhail Gorbachev, met for the first time, the Reykjavik Summit, held on October 11-12, 1986, presented an opportunity to try to reach an agreement between the two sides on arms control. 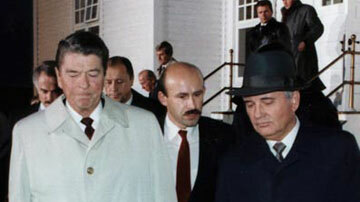 While Gorbachev wanted to ban all ballistic missiles and limit the talks to arms control, Reagan wanted to continue to work on the Strategic Defense Initiative (SDI) and sought to include talks on human rights, the emigration of Soviet Jews and dissidents, and the Soviet invasion of Afghanistan. Though ultimately a failure, the Reykjavik Summit changed the relationship between the United States and the USSR, and provided a platform for a continuing dialogue between the two countries. It eventually resulted in the 1987 signing of the Intermediate Nuclear Forces Treaty (INF), and is often cited as the end of the Cold War. Rozanne Ridgway, the Assistant Secretary of European and Canadian Affairs from 1985-89, discusses the relationship between President Reagan and Mikhail Gorbachev in the lead-up to Reykjavik and after. She explains the difficulties each side had with negotiating the treaty and the public’s perception of what was actually accomplished. 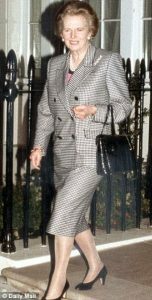 She was interviewed initially by Ann Miller Morin in 1987 and then by Charles Stuart Kennedy in 2002. Thomas Graham, who was interviewed by Charles Stuart Kennedy beginning in 2001, talks about Reagan and Gorbachev’s style of negotiating as well as the effects of the Summit on the INF, SDI, and Strategic Arms Reduction Treaty (START) talks. He also retells a funny story from George Shultz about Margaret Thatcher and her handbag. Read other Moments on the Cold War and on arms control. 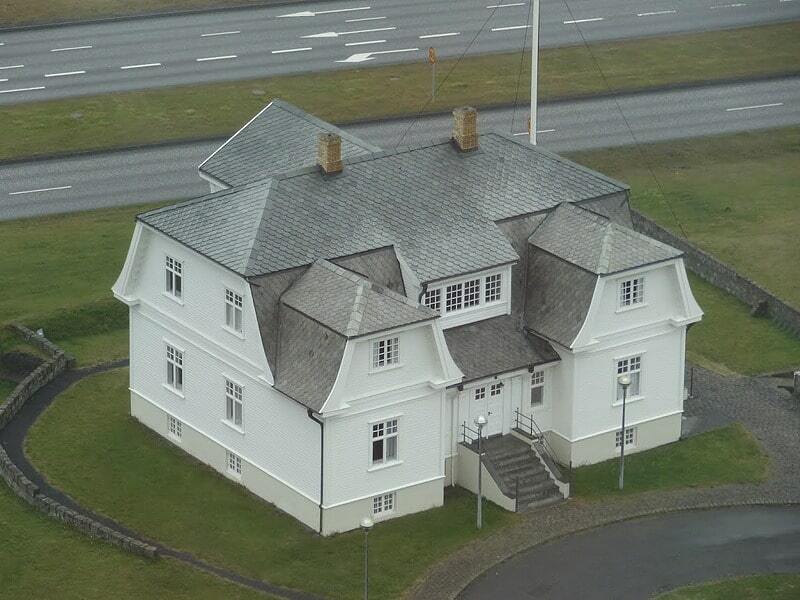 RIDGWAY: In Reykjavik, Iceland, our meetings were held in the Höfôi house. The house was built so that on the first floor there was a room with lovely windows overlooking the Bay of Reykjavik. That is where President Reagan, Mikhail Gorbachev, [Secretary of State] George Shultz, and [Soviet Foreign Minister] Eduard Shevardnadze met with a couple of interpreters. Reykjavik, which came very close to an agreement to eliminate all nuclear weapons, had come as a surprise. With Geneva [in 1985] we demonstrated to the disbelievers in Washington, who even to the last moment had tried to undercut the President, that the store had not been given away and that we were able to make progress on a lot of issues that had been stuck in a time warp. As a further result of the Geneva summit, President Reagan emerged with a new European attitude towards him: his reputation for dealing cavalierly with opposition was replaced by European respect for his flexibility and negotiating skills. However, Gorbachev didn’t get anything that he wanted in the way of lesser interests in SDI [Strategic Defense Initiative, aka “Star Wars”]. It was agreed in Geneva that there would be two more summits: one in Washington and one in Moscow. The events of 1986 [including the Reykjavik Summit] were so dramatic and so filled with divisiveness that the Washington and Moscow summits were not held until 1987 and 1988. Reykjavik was an opportunity in that period to make some progress. It is true that the two had not met before the Geneva Summit in 1985. Reagan had his own view on how he wanted the meetings to proceed. He wanted to start with a private meeting between the two presidents plus interpreters and that did happen. That was well-recorded, with the two in front of a fireplace in Geneva. However, there were a lot of people on our side who insisted that the President could not be allowed to have a one-on-one meeting with Gorbachev. This was not specifically said to Reagan, and by my reckoning, these people would have taken the same position regardless of who was president. When we got to Reykjavik, they really exploded even though we were working off a previously negotiated arrangement. 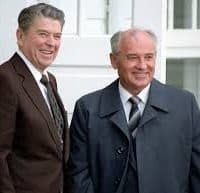 Reagan basically believed that he and Gorbachev could identify areas of common interests, especially on issues that might avoid a nuclear war. Reagan really did believe that a nuclear war could not be won and therefore should never be fought. He was convinced that the leaders of the two superpowers understood that their people wanted prosperity and economic development and that there was no need to resort to nuclear weapons. Therefore, he felt that he and Gorbachev could best satisfy the demands of their people. But there were many skeptics who did not share Reagan’s optimism. They, of course, were wrong and the summits will stand forever as models of cooperation and accomplishments. I certainly think [that the KGB was playing a “blocking” role in Moscow and trying to put up obstacles to Gorbachev-Reagan meetings]. However, I think that there were stubborn people on both sides who saw the great progress that these summits were making toward world stabilization, and who were willing to spend untold hours trying to overcome barriers. Eventually, these people won out, and the KGB and the anti-Soviet block in the U.S. were overcome. In retrospect, I have come to the conclusion that the obstacles in Moscow were far greater than they were in Washington. In fact, I think every step on the summit journeys was fraught with risk and that particularly in Moscow the chances of failure, i.e., of not having a summit, were very high. The American obstacles did slow down the process and required considerable additional work and perhaps some “loss of face,” but I don’t think the concept of summits itself was ever in jeopardy. We did have a constitutional process with the President clearly being the chief executive. The same could not be said for Moscow. I think Gorbachev, at every step, had to hold off people who did not agree with where he was taking the Soviet Union. They predicted the destruction of the Soviet Union. In fact they were right; that was all to the good as it was a ridiculous and tragic system. However, there were many who wanted to stick with it and fought Gorbachev every step of the way. It was Gorbachev and Shevardnadze in Moscow as it was Reagan and Shultz in Washington. 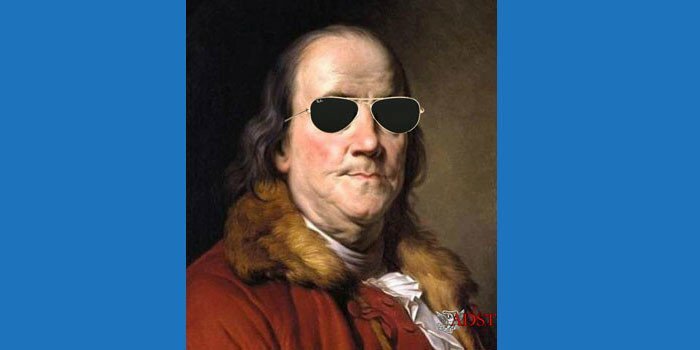 Those four were the architects of the new directions for their respective countries. And as it became clearer that the U.S. and the USSR were moving away from the prospects of a nuclear confrontation, more people jumped on the bandwagon. However, at the outset, it was those four who sensed what progress could be made, and who forced their bureaucracies to join in. In the middle of all these new directions, people like Mike Armacost [then at the National Security Council] were involved in developing a coalition to force the Soviets to leave Afghanistan, which they did. That was a subject of tensions between the U.S. and the USSR, as were other issues such as human rights, Jewish emigration from the USSR, and many arms control issues. In other words, there were daily reminders that the two countries were still antagonists who had many issues that needed to be resolved beyond the broad one of greater stability, particularly as it related to nuclear weapons. I should mention that Bob Linhard was the senior arms control officer at the NSC [National Security Council]. He was an Air Force colonel who had specialized in missiles, and a very bright guy. He and Richard Perle [Assistant Secretary of Defense for Global Strategic Affairs] were deeply involved in the preparations for the Reykjavik summit. We had an interagency working group working on papers for that meeting. At the same time, Gorbachev was issuing statements about his position on various issues. We arrived in Reykjavik with a big, fat notebook with our various positions and our possible responses to Soviet initiatives. When people said that we were not prepared for that summit, they didn’t know what they were talking about! Richard and Bob were the master keepers of that notebook. They did a lot of the support work for the President and Shultz’s dialogues with Gorbachev. One amusing aspect of their work was that they put a door across a bathtub to use as a desk. They put a typewriter on the door and pounded out negotiating positions. It was very constructive. After Reykjavik, Linhard was assigned to the command in North Dakota. He had just been made a major general, when he suddenly passed away. It was a great loss. At Reykjavik the President’s message to Gorbachev was essentially that the U.S. was prepared to give up offensive nuclear weapons over a period of time in order to establish a relationship based on defensive weapons. On the other hand, he was not prepared to give up SDI [Strategic Defense Initiative], because that was part of his strategy towards the USSR, which was still viewed by most Americans as an enemy. If Gorbachev had agreed to give up his opposition to SDI and had allowed us to build the system, would the President have agreed to eliminate nuclear weapons? I think so. I certainly supported such an exchange. Gorbachev kept saying that the U.S. wouldn’t even share milking machine technology with the USSR. The Soviets never believed that we would share SDI technology with them. I think they were probably right in their skepticism. I don’t think we would ever have given them the technology. The President might well have been sincere, but I doubt that the bureaucracy that I knew would ever have allowed it. However, that was the President’s concept. He thought offensive capacities should be phased down while defensive capacities were built up. So, at Reykjavik, Reagan was willing to give up offensive weapons in exchange for increased defensive capabilities. The overture was not accepted by the Soviets. I should note that while offensive-defensive trade-offs were central to the dialogue in Reykjavik, there were intense negotiations on the side on intermediary nuclear forces (INF). At the end of those negotiations, I think we got almost everything that we were seeking. Agreement was reached that each side could keep 100 delivery systems (or warheads); all the others were to be destroyed. The press, who had accused Reagan of having given up too much at Reykjavik, and who believed that SDI would become a barrier to peace and stability, took a much more dispassionate view of the situation. Gorbachev found out that our allies didn’t want to move as fast as Reagan was willing to, so his hopes of being viewed in Europe as “that great champion of arms control” were dashed. But, six months later, we put the final touches on an INF agreement, which reduced allowable missiles to zero. I mention this because even though the press touted Reykjavik as a discussion of offensive versus defense strategic issues, there were other matters that were taken up, such as the INF. The INF agreement became the answer to the positioning of the Pershing and the SS-20 missiles, which had become a major issue in Europe. Prior to Reykjavik, the Europeans had indicated their willingness to accept the basing of INF missiles in five of their countries, a position made clear during the Geneva summit. There were still some demonstrations against that basing agreement, but by Reykjavik, we were in fact in the process of installing those missiles. When the opportunity to reduce the numbers of INF missies arose in Reykjavik, we took advantage of it, and as I said, eventually never based any of them. It was a huge step forward. It was the first time any country had destroyed a whole class of nuclear weapons. People haven’t recognized the progress made in Reykjavik on INF. It was primarily Paul Nitze’s doings. I was off in another room with [Gorbachev’s foreign policy advisor] Anatoly Chernyaev working on human rights issues. I gave him a long list of hundreds of names of their dissidents who were in jail in the Soviet Union or people who wanted to emigrate but had been blocked from doing so by Soviet authorities. We discussed how to have a continuing dialogue on human rights issues as I wanted a process established which would allow us to raise both the general issue and individual cases as they arose, without having to wait for a summit meeting. I mention this discussion because along with INF and other major strategic matters, there were many issues discussed and agreements reached in Reykjavik, which have never been given much attention. The public only remembers Reagan getting into his car at the end of the last session of the summit meeting. He looked disappointed – and I think he really was as he had really thought he could reach his goal of banning offensive nuclear weapons. The fact that he did not reach it should not be used to denigrate that summit, as many important issues were discussed that became the basis for future agreements. A lot of progress was made on an INF treaty at Reykjavik. One of the real challenges to the negotiators was to define what missiles would be covered and which would have to be governed by other treaties. A similar problem arose during the START [Strategic Arms Reduction Treaty] negotiations, which took place in the Bush administration. Definitions of various hardware were always a problem. A lot of work was done at Reykjavik on reaching agreement on INF terms; however, that got very little attention since the media focused on Gorbachev and Reagan standing on the steps of Höfôi House, saying their farewells without having reached agreement on any arms control issues. As Shultz often reminded people, there was in fact considerable progress being made behind the scenes on how we would deal with human rights issues between the two countries. It was the first time that the Soviet Union had ever let another country become involved in human rights issues in the USSR. The Soviets made a last ditch effort in Reykjavik to kill SDI. After the meeting, Gorbachev went from European capital to European capital saying that it would have been possible to have a nuclear-free world if it hadn’t been for the American insistence on having an SDI program. Apparently, what he didn’t understand was that the Europeans, shaken by the potential agreement on the removal of INF missiles, which would leave them without any nuclear defense against the Russians, all of a sudden became great proponents of nuclear weapons. To them, the stationing in Europe of INF missiles was a guarantee that the U.S. would become involved on the continent in the event of any Soviet attack or threat, and no INF missiles on European soil equated to no guarantee of U.S. intervention if Europe was threatened. Naturally then, the Europeans were quite ambivalent about the U.S. taking nuclear weapons out of Europe and Gorbachev found little support for his position. Here at home, the foreign policy mavens of old, such as Henry Kissinger and Zbigniew Brzezinski, all of a sudden were all over the TV on Sunday mornings criticizing Reagan and his team for their “recklessness” at Reykjavik, which in their view had eliminated one barrier to Soviet expansionist desires through the reduction, and in some case elimination of certain nuclear weapons, particularly those that were to be stationed in Europe. They predicted that the Europeans would view the American actions as a withdrawal from Europe, opening the possibility of an entirely new balance-of-power, one that might perhaps be unfavorable to the U.S. It was a real battle of “concepts,” because in fact American critics and Gorbachev found themselves on the same side of certain issues. This reaction in the U.S. dictated that time had to pass before any further agreements between the U.S. and the USSR could be contemplated. Eventually, Gorbachev came to the realization that he would not be able to kill SDI, and the Europeans saw that there was a real opportunity to reduce tensions by going to a “zero-zero” INF agreement [an American proposal for the withdrawal of all Soviet and United States intermediate-range nuclear missiles from Europe]. The rest of 1986 and much of the first half of 1987 was spent working on that INF agreement. By mid-1987, it was clear that such an agreement would be signed, so we went back to preparing for another summit. Washington became the venue for the next summit, which was held in late 1987. Its centerpiece was the signing of the INF treaty by the two leaders, which took place on December 8. We didn’t want a date that would interfere with Pearl Harbor Day. In fact, the date was picked by Mrs. Reagan and her astrologer. I can remember Colin Powell and Ken Duberstein saying to the Soviets, who had indicated some unhappiness with the date, “Don’t ask us how the date was chosen!” The date could not be changed; the meeting had to be on that date at 1:00 p.m. at the White House…. Reykjavik made it clear that there would be no retreat from the U.S. SDI position. NATO’s understanding that we would not back off from removing INF missiles from Europe allowed us and the Soviets to spend the rest of 1987 working on verification. Right up to end, the Soviet Deputy Foreign Minister and I continued our dialogue. Over a telephone line from my house to Moscow, he and I continually haggled over the details of the agreement…. 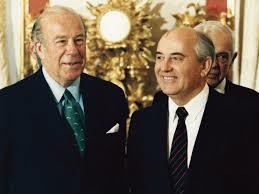 After Gorbachev and the President signed the INF agreement, and after Gorbachev returned home, we sent the document to the Senate for ratification. Unfortunately, the Senate refused to do so. There was a lot of unhappiness about the verification arrangements, which many senators felt were still inadequate. They asked a lot of questions. So we went back to Geneva, where technical experts worked out new details. Finally, when all of their questions had been answered the Republicans in the Senate had to support the treaty, which assured its ratification. I didn’t [feel very discouraged after the Reykjavik Summit]. I think what one becomes discouraged about is the difference between what you know happened and what the press says happened. And when push comes to shove, it’s what the press says that is determining. That’s what you have to learn to deal with. There were mistakes made at Reykjavik that maybe could not have been avoided. In a Shakespearean sense, sort of a fatal flaw. I think that if we had to do it over again, I have no doubt we would do it the same way, which suggests then there is this fatal flaw. But since Reykjavik we’ve learned a lot of lessons on alliance consultation, and I think the Europeans have decided that for their part, they have grown up enough now, forty years after, that if they want to have a larger say in how the United States and the Soviet Union shape the world, then they had better start paying their way. I think we will see some long-term historic changes come out of Reykjavik, greater than Geneva. Geneva simply reopened the U.S.-Soviet dialogue. That’s really all it was, and it did that very effectively. Reykjavik had an impact on the U.S.-Soviet dialogue, and as an adjunct which is growing up in the equal partnership, in my mind, the awakening in Europe of a sense that Europe had to do something…. It is true that we anticipated as a result of messages from the Soviets delivered either privately or in public a summit that would take a look at so-called INF forces, possibly nuclear testing. And we said fine, and that’s what we briefed and what we gave the same emphasis to. To give emphasis to something does not mean that you are not prepared on the other topics, and when Gorbachev arrived and at the first session, he tabled a comprehensive approach on arms control covering all categories of weapons. The President and the Secretary brought that package to the lunch table, briefed us all on it, but we all had the same package. We had something ourselves that we called basic elements of a comprehensive package, and so in the afternoon, we simply tabled our own. And we were quite prepared for it, we had it in a black notebook; we had been looking at it for a long time, and that became the new approach rather than the one that we had been anticipating. But we were as prepared for it as we were for the one we thought we were getting. GRAHAM: I think Mikhail Gorbachev did the Russians and everyone a huge service by what he tried to do and by what he did accomplish. He tried to do three things at once, which were more than any one human being could do: he tried to democratize Russia, the Soviet Union; he tried to give it a modern economy; and he tried to end the Cold War. It was too much but he was still a great force, a great man. Reagan and Gorbachev were sending messages back and forth about Gorbachev coming to Washington. They couldn’t quite agree on the parameters of such a visit so Gorbachev said, “Let’s do a preparatory meeting somewhere in between.” They tried a couple of places and settled on Reykjavik, Iceland. This happened very quickly. The meeting was arranged. I have read the transcript of what they said to each other. To this day it remains absolutely astonishing — astonishing that two world leaders could talk like that. I am short-handing greatly but basically, the exchange went like this: Gorbachev would say, “Well, let’s get rid of strategic missiles.” Reagan would say, “Let’s get rid of all ballistic missiles.” Gorbachev would reply, “Let’s limit the number of nuclear weapons,” and Reagan would say, “Let’s get rid of all the nuclear weapons” — that kind of discussion. George Shultz was sitting there and so was Eduard Shevardnadze. It is remarkable that it happened. Those two leaders were way ahead of their time, maybe even a century ahead of their time, but they tried. They might have reached some kind of an agreement were it not that Richard Perle and one or two allies in the backroom kept prompting Reagan to insist on the Strategic Defense Initiative whereas Gorbachev’s brief clearly was that it be limited to the laboratory. Meanwhile, [chief negotiator of the Intermediate-Range Nuclear Forces Treaty from 1981–1984, Paul] Nitze had negotiated with Marshal Sergey Akhromeyev all night about significant arms control progress so it might have been that some kind of framework agreement could have been reached but for the sabotage with the Strategic Defense Initiative. Anyway, an agreement couldn’t get done. If there had been a really far-reaching agreement, as opposed to some kind of framework policy statement, it would have been immediately sabotaged by the bureaucracies in both capitals and it would not have survived anyway. “She said, ‘George, I want you to get over here to the embassy right away. You get over here right away and you explain this Reykjavik to me. I want to see you right now’ — just like that! I said, ‘Okay,’ hung up the telephone and went over to the British embassy. “When I got over to the British embassy, they said, ‘Oh, yes. The Prime Minister is waiting in this side room here.’ So I went into the side room and Maggie Thatcher was there. “I said, ‘But Maggie, I agreed with the President.’ She said, ‘It doesn’t matter.’” It was a wonderful story. My recounting of it doesn’t do it justice, but I have heard it a couple of times from George. Great story! As I said, an agreement never would have survived. Two things of great import happened at Reykjavik. In fact, Reykjavik was the watershed of arms control. The first thing was that Gorbachev agreed that the Soviet Union would release all data on its systems — there would be a total exchange of data, which was something we had been trying to get since the beginning, since 1969. Second, Gorbachev agreed that the INF treaty could be verified by intrusive onsite inspection. He agreed also that shorter-range systems, down to 500 kilometers range, could be included in an INF treaty so that everything from 500 to 5,000 kilometers was included. A few months later, after the Japanese complained about getting rid of all these missiles in Europe but not the ones out in Asia that could threaten them, the Soviets agreed to make it worldwide — everything in the Soviet Union, everything in the U.S. of these ranges. That meeting established intrusive, onsite inspection as the bedrock of arms control as well as the complete disclosure of information. It was a most important watershed. The Reykjavik meeting was a watershed for arms control then. 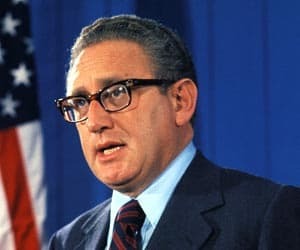 And today in the 21st century (for the last six years) that meeting has been an inspiration for the George Schulz-Henry Kissinger – [former Secretary of Defense under Bill Clinton] Bill Perry-[key proponent of arms control, Congressman] Sam Nunn effort to move the world in the direction of zero nuclear weapons. 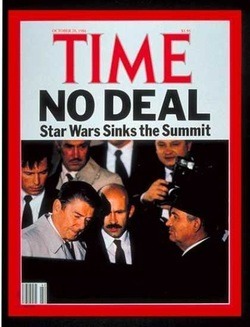 Then in 1987 the INF negotiations were able to be brought to a conclusion late in the year. The treaty was initialed in early December 1987 by the U.S. and Soviet negotiators on a U.S. Air Force plane flying to Washington from Geneva. It was signed the next day by Reagan and Gorbachev in Washington on December 8, 1987. This eliminated a complete class of nuclear weapon systems, not just in Europe, but worldwide, for the U.S. and the Soviet Union. There were some who argued at the time, “Why don’t we make this treaty worldwide for every country?” Doing so was considered too difficult. People are still talking about a worldwide agreement today [in 2001]. Signing the INF treaty was a very important event. It was the step stone to the treaty that ended the Cold War under the first President Bush, the Conventional Armed Forces in Europe treaty. 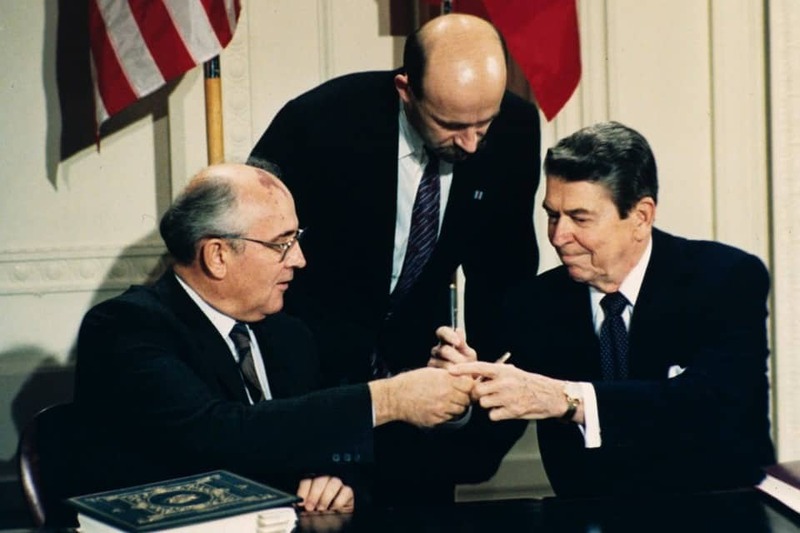 The INF Treaty brought to an end the hostility between the Soviet Union and the United States. The Soviets gave the U.S. almost more than we wanted because we weren’t sure we wanted to disclose that much information. But very complete information and onsite inspection was memorialized in the INF treaty, intrusive onsite inspection. And it was agreed there would be permanent monitors at a missile production plant in Votkinsk, Russia. The reason was that that plant made both SS-20s, which were banned by the treaty, and SS-25s, which are strategic weapons and which were not banned. You can’t tell the difference by overhead photography so onsite inspectors were permanently placed at the plant. The only concession the Soviets asked for that was they wanted to have something similar in the U.S. even though we didn’t have a plant that made both medium-range and strategic missiles. So we designated a plant. It was the Hercules plant in Utah. The company whose plant it was only found out about their selection the night before it was announced. Secretary Shultz called them and told them, “You are going to have Russians at your plant for the next seven years or so.” That very, very important principle made the START treaty possible and many other things, as well. The Treaty was signed in December. As I indicated, I flew back with the delegation on a U.S. Air Force plane from Geneva. We did the initialing of the treaty on that airplane. The Soviet leadership of the delegation flew back with us on that plane. Then, I took it to [Chief U.S. Representative to the Mutual and Balanced Force Reduction Negotiations] Ambassador [Maynard] Glitman to have him initial for the United States. Gorbachev subsequently said, if I remember correctly, that was when he knew the Cold War was truly over. He and President Reagan got on the helicopter and sat next to each other and their aides, military officers that were with them carrying the footballs — the launch codes for each — sat quite near them and put the two launch code briefcases side-by-side. Gorbachev said that was when he knew the Cold War was really over. The Treaty had a few minor problems in the U.S. Senate, but eventually it was ratified in the spring of 1988. President Reagan traveled to Moscow to exchange the instruments of ratification with Gorbachev and bring the treaty into force June 1, 1988. Many years before, in 1981 shortly after being elected, President Reagan had referred to the Soviet Union as an “Evil Empire” in a speech delivered somewhere in the United States.